There aren’t many things that can ruin a good bike ride faster than a sore bum. Thankfully, however, most Pedego bikes are equipped with wide comfort seats to help keep you, and your tush, happy. With a few quick adjustments, you can make it so you feel like you’re riding on a cloud. Pedego’s comfy ride actually originates in two places. First is the suspension seatpost. Each time you hit a bump, the shock is absorbed by a small inner post that slides in and out of the large outer tube. Occasionally, you’ll find these posts can develop a little wiggle. If that happens, use a spanner to tighten the collar that joins the two tubes; it’s located underneath the rubber protector. 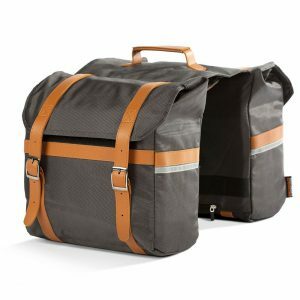 Pedego Stores offer an after-market option to make your bike even more comfortable: the Bodyfloat. 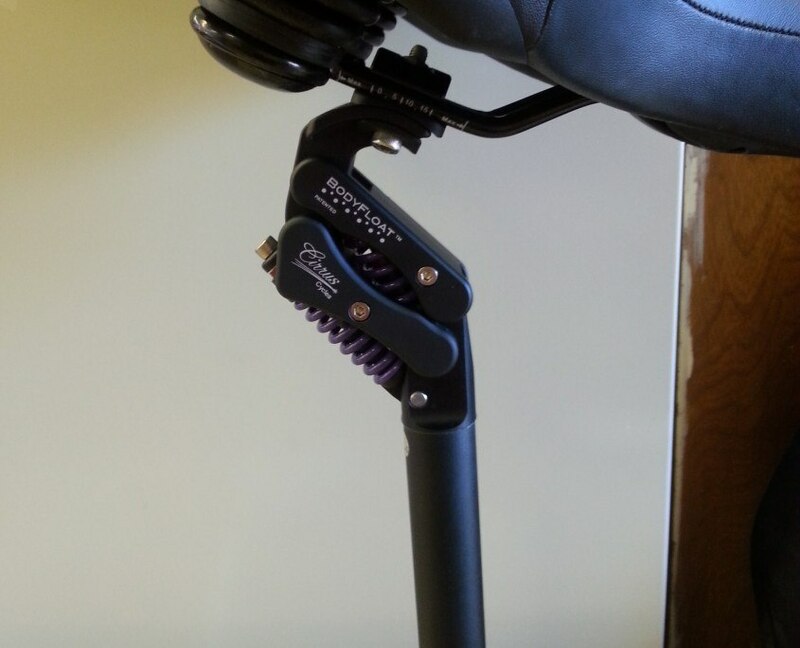 This seatpost uses two sets of adjustable springs that you can fine tune to isolate your body from bumps and vibrations. It’s like riding on a cloud. Check it out! The second source of comfort on most Pedego bikes is the wide padded seat with two springs on the bottom. While this is the best saddle option for many, seats aren’t a one-shape-fits-all sort of thing. 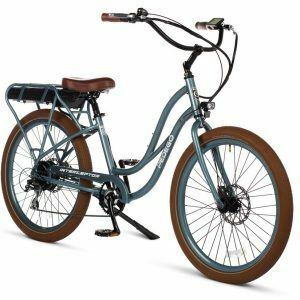 As such, Pedego stocks a few other saddles with different shapes, springs and amount of padding, such as the Velo Memory Foam and the Brooks Leather Saddle. 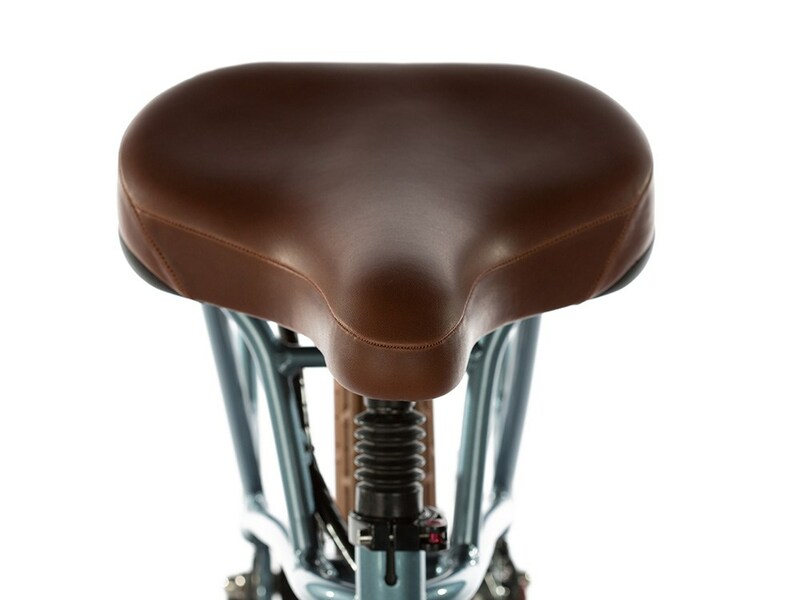 Adjusting the overall position of the seat can make a world of difference to your ride. First off, make sure the seat is at the right height for you. Open the collar to raise or lower your seat to the point where the balls of your feet touch the ground when you sit down. When tightening the collar back up, turn the lever clockwise to that it starts being under tension about halfway closed. You can also tighten the collar once it’s closed with an Allen key. 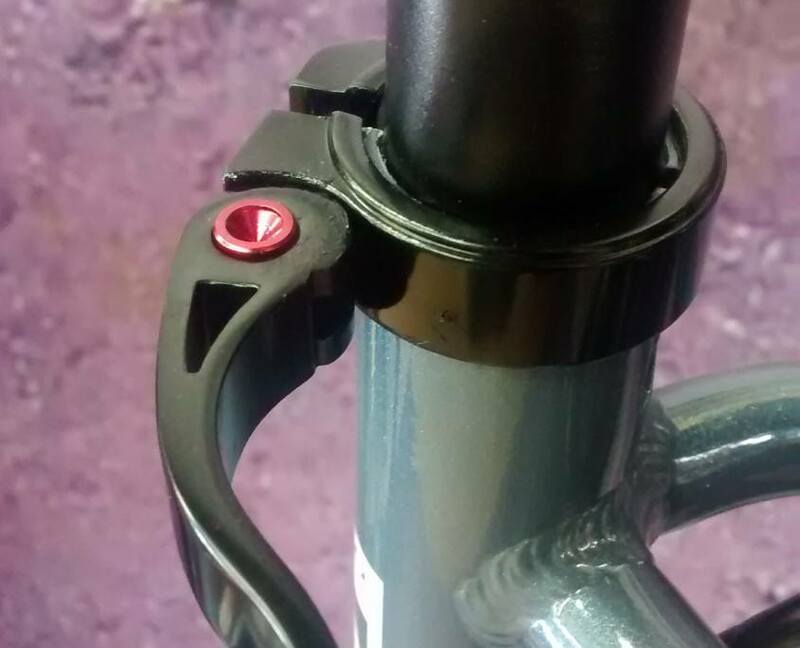 Quick release adjustable seat post. Sit on the saddle and notice if you feel like you might slip off the front or back of your seat. Use an Allen key or wrench to loosen (but not remove) the clamp at the top of the seatpost and tilt the nose of the saddle (only one notch at a time, it’s amazingly sensitive) in the direction you need. In the case you feel like you’re going to slip forward, tilt the nose up; if you feel like you’re going to fall back, tilt it down. This is also an opportunity to slide the seat slightly forward or back, to its ideal position and tighten the clamp back up. Be sure everything is good and tight after you’re done. Don’t be afraid to put some weight behind it either.